This a real functioning public access street. 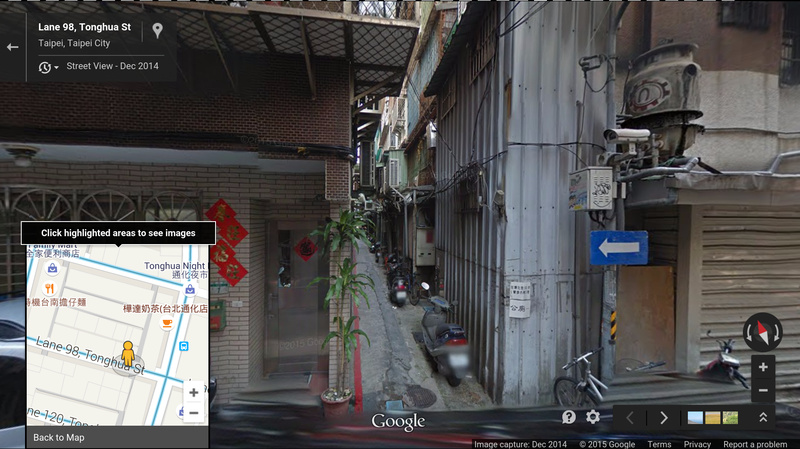 Notice that it is one of only two very narrow streets connecting Lane 118’s Alley 1 and Alley 3 to the rest of the world. 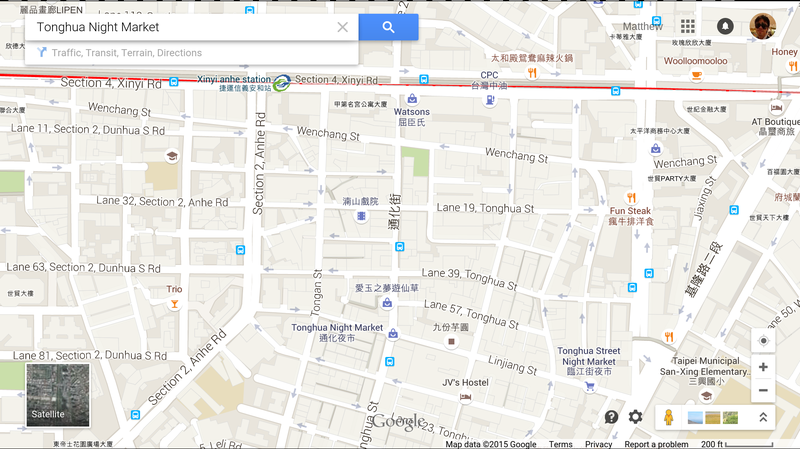 Those photos were taken by Tonghua Night Market (lower middle of map). 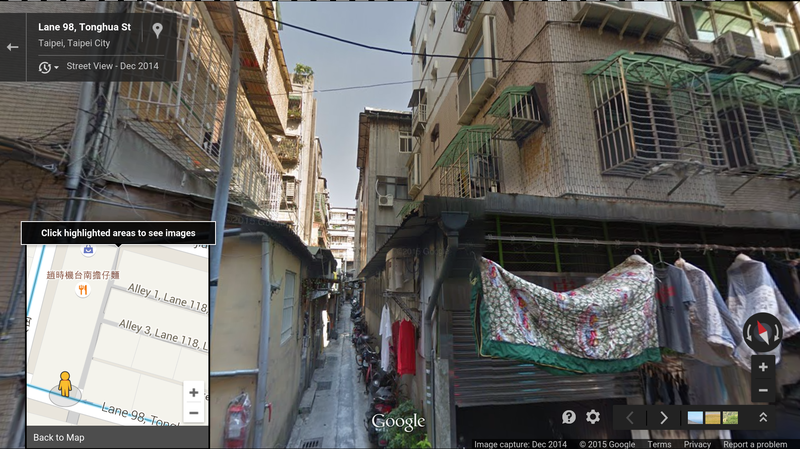 It’s not far from Taipei 101. Here’s an area map at the 100 foot scale. 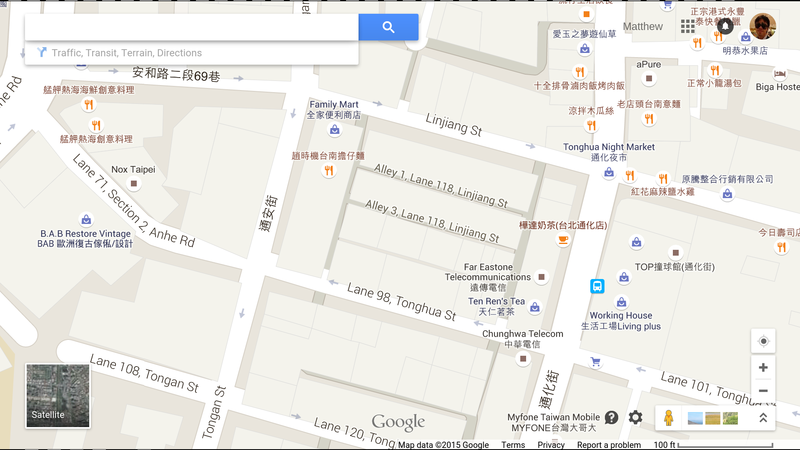 Note the nearby Family Mart, and at least 12 eateries.